Most of the past Sunday nights have been devoted to doing my Quilt Sampler 2 homework. As soon as I catch up with all that, I’ll be back with some new Sunday Patchworks. In the meantime, here’s my Maple Star! 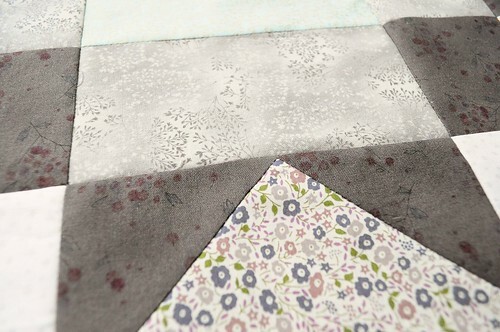 This is probably one of the more simple blocks we’ve done in class, but I really love this one. Firstly, it’s a star. 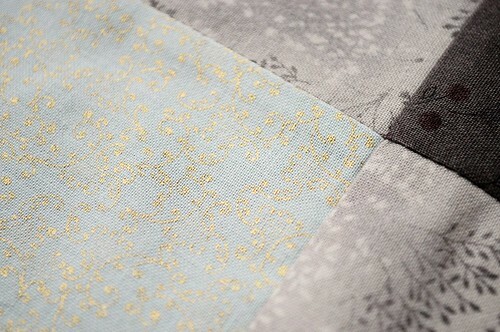 Secondly, I slipped in some scraps of Liberty of London ‘Fairford‘ and it goes perfectly. It’s magic when that happens. Today is the Love & Rummage 3 Trunk Show! The block is beautiful! 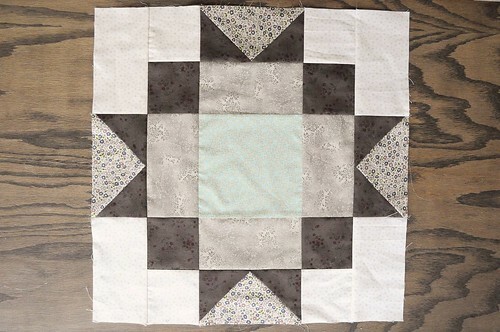 I can’t wait to see the quilt top all together. The trunk show was fantastic – you out did yourself once again. I was one of the lucky ones to get a gift bag. It completely inspired me to make loot bags for a party I am throwing this weekend… Such a fun idea!